CinemAbility release date was Friday, October 4, 2013. This was a New York release. 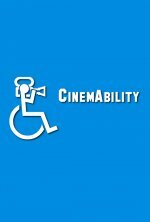 This star studded documentary takes us on a thought provoking and humorous journey to explore the evolution of disability portrayals in film and television. From the early days of silent films to present day, from Chaplin to X-Men, disability portrayals are ever changing. This dynamic documentary takes a detailed look at the evolution of "disability" in entertainment. Jane Seymour is the host of "CinemAbility" and our interviews have included many entertainment industry professionals such as: Ben Affleck, Jamie Foxx, William H. Macy, Marlee Matlin, Geena Davis, Beau Bridges, Gary Sinise, Kyle MacLachlan, Garry Marshall, Taylor Hackford, Michael Apted, The Farrelly Brothers, Gale Anne Hurd, Tom Sherak, Marc Cherry, Vince Gilligan, Camryn Manheim, Kellie Martin, Geri Jewell, Robert David Hall, Ken Howard, and Peter Bogdanovich just to name a few.